This is a reminder regarding the St. Nicholas themed From Thy Bounty Fair, which will be hosted here this week by Mary Ellen. The fair has been postponed until later in the week and is now scheduled for December 4. Please share with us your culinary ideas for celebrating the feast of St. Nicholas in your home. Submissions are encouraged and welcome from bloggers and non-bloggers. 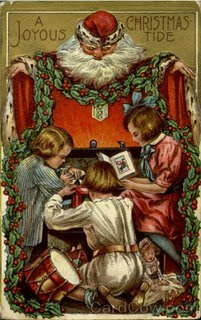 Please submit links to posts (past years welcome), pictures or ideas to bonnybluehouse at gmail dot com by Wednesday evening, Dec. 3, so they can be included in this festive fair to celebrate St. Nicholas. All ideas, small or great are welcome! As always a good place to start is the Catholic Culture website with its extensive collection of recipes in the St. Nicholas section. There are a large variety of recipes from classic liturgical year cookbooks and resources. Another excellent on-line resource for all things Saint Nicholas is the St. Nicholas Center. 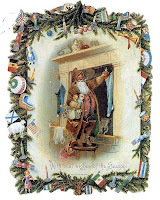 The recipe section of the website is a treasure trove of festive foods from around the world to celebrate St. Nicholas. Everything from beverages to sweets & treats, from breads to main dishes are included here. Saint Nicholas Day is a highlight of the Advent of season and a traditional time of celebration. His feast is popular all over the world which provides many different cultural twists on foods and feasting. St. Nicholas Day gives us a perfect excuse to start baking Christmas cookies. Speculaas and Springerle are the most well-known of the traditional cookies, but, the variety of cookies made in different cultures is as varied as the cultures themselves. 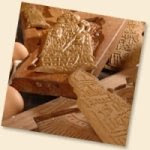 Whether the cookies are imprinted in traditional cookie molds, made in to the shape of the saint or his symbols, or simply round,they are a mainstay for celebrating the feast day. 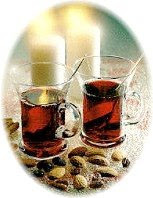 Bisschopswijn, hot spiced wine, is a traditional beverage for many, consumed on the eve of the feast day. There are also several non-alchoholic punch variations or grape juice can be used. Helen McLoughlin, in Family Advent Customs, suggests as an activity toasting his memory with the Bishopwyn and telling the beautiful legends of the charity of St. Nicholas. Candy is a standard treat associated with the feast day as well, from homemade Nikolausschnitten and Borstplaat to chocolate coins and candy canes which have become associate with the feast. There are many fun ways to incorporate those into the St. Nicholas feast day. The symbols associated with St. Nicholas such as three golden balls, three bags of gold (coins), three golden apples, three loaves of bread, three children in a tub, Trinity symbol on a cope, anchor, ship, bishop's mitre, shepherd's crook could be used as well. Father all-powerful, your gifts of love are countless and your goodness infinite. 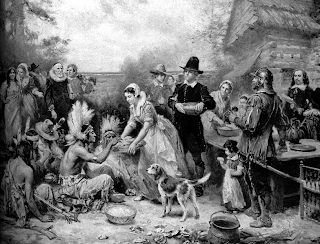 On Thanksgiving Day we come before you with gratitude for your kindness: open our hearts to concern for our fellow men and women, so that we may share your gifts in loving service. 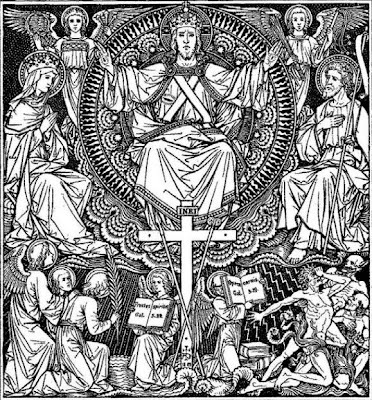 We ask this through our Lord Jesus Christ, your Son, who lives and reigns with you and the Holy Spirit, one God, for ever and ever. During this season of thanksgiving we would like to thank you for your support of this blog. We wish you a very happy Thanksgiving day. Enjoy the bounty! November 25th is the feast of St. Catherine of Alexandria. One of our favorite books about her, which we read each year on her feast, is called A Story of Saint Catherine of Alexandria. It was originally published in 1965, and had been out of print. However, it has been reprinted by Newman Press. I just love how all these wonderful old books are now being made available once again! I highly recommend it. Now, my girls are no where NEAR the age of 25, and I'm not going to "encourage them in their search for love," but since St. Catherine is my oldest daughter's patron saint, we celebrate her "name day" on this special feast with a heart shaped cake! Last year, since I didn't have a heart shaped pan, I used the directions found in My nameday--come for dessert, for our Heart Cake. Even though it looked a little out of balance, my daughter LOVED it! 1) No heart-shaped pan is needed. Instead, bake two round 8 or 9-inch layers from favorite recipe or cake mix. Spread a fluffy pink frosting between the layers; then cut a wedge from one side, about 31/2 inches wide by 3 inches deep. 2) The cut-out wedge goes on the opposite side of the cake to make the point of the heart. Now frost the entire cake, swirling pink frosting over the top and sides. 3) Sprinkle white coconut flakes over the top and around the sides of the cake. Pat the coconut on while the frosting is still soft so that the coconut will stick. Red cinnamon candies make a pretty heart center, as do roses of icing. Since we just lost our baby, I am not quite up to baking a cake. However, we could all use a little cheering up here, so we are going to swing by the bakery and see what we can find! Have a wonderful feast everyone! Give me strength and courage in fighting off the temptations of the world and evil desires. Help me to love God with my whole heart and serve Him faithfully. Today is the optional memorial of St. Catherine of Alexandria. 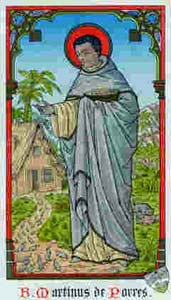 St. Catherine was a 4th century martyr. The symbol commonly associated with her is a wheel or a wheel with knives, since she was set to be tortured on a wheel with pointed knives. It is said that the machine fell to pieces when she touched it. She was then beheaded. 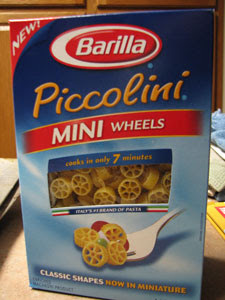 Wagon wheel pasta with its wheel shape would be a fitting option for a meal today. I don't have a particular recipe in mind - any meal that would call for pasta would work to incorporate this symbol. Many lovely crown cakes have been described previously, for use on various regal feasts including today's Feast of Christ the King. 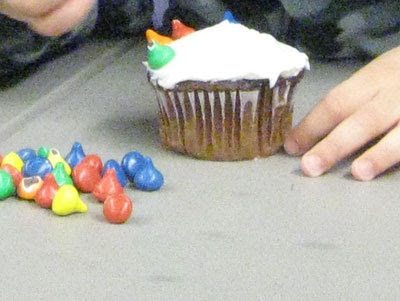 Another option, easy to put together in a pinch is to make these basic cupcake crowns. Take cupcakes and circle the perimeter with Hershey's Kissable "jewels" for a cute little crown. The kids have fun decorating, then consuming these creations. As the autumn starts to fade so comes the long winter. Around here, in Southern Oregon, we get a blanket of fog every morning to remind us of the cold season ahead. I used to live up north in Washington state and every year we would drive down here for the holidays, especially Thanksgiving. Those long drives speckled with hazardous road conditions were always an adventure, but ultimately worth it. There is nothing better than being surrounded by family, some of which you may not have seen since the last holiday gathering. It is a time of joy and expectation. A time of sharing family news and reflecting on the blessings God has gifted us with over the year. But there is more to the holiday season than simply gathering together… there is, of course... food. Holidays are not just any meal or any feast. They are a trip down memory lane. A time to remember those that have passed away, like great-grandma as you bite into her famous pumpkin pie or Uncle Ben as you sample his recipe for stuffed mushrooms. These feasts are more like a family album of memories, both good and comic. Remember that time grandma forgot to pit the cherries before she made that cherry pie? For every family there are usually a few recipes in particular that simply mean holidays. They are the dish you only make once, maybe twice a year. It is the only time that you get all the best ingredients and work your best magic in the kitchen. For my family there are many which are always served at every Thanksgiving and Christmas. One of which is broccoli casserole. Most people make a funny face when this dish is mentioned. Even those who think broccoli is simply "ok" think this sounds odd. Trust me, this is the best holiday dish and one way to get the kids to eat broccoli. It is also super easy to make! Melt butter and mix with crackers. Mix rest of ingredients and pour into 9X13 inch dish (maybe larger!! I can’t remember). Top by sprinkling with Ritz and butter mixture. Bake at 350 degrees for 45 minutes. I was never a fan of cranberry sauce as a kid. The gelatinous mess that came from a can looked about as appealing as cat food to me. 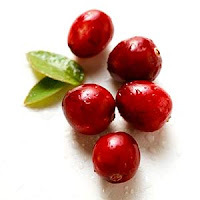 One year, however, I ended up with a ton of fresh cranberries and thought… what the hey! So I looked up a bunch of recipes on All Recipies and Food Network before making up my own concoction. Warning! I did end up having to can a lot of it (I think I doubled this recipe)… but then you can give it away as gifts for Christmas. Place fresh cranberries and orange juice in a medium saucepan over medium heat. Add spices and cloves in tea strainer. Cook until cranberries begin to burst, about 10 minutes. Stir in sugar and reduce heat to low. Continue cooking 5 minutes, or until sugar has dissolved. Remove from heat and allow to cool. Discard spice bag. Chill in the refrigerator 8 hours, or overnight, before serving. The last dish I am going to share with you is an old family recipe for pumpkin pie. I just buy the canned pumpkin, but if you are brave, go for the gusto and make it like my great-grandma did 100 years ago, with the real deal. Mix together. Before pouring into pie crust, prick all over with fork and brush with a little cream (or evaporated milk). Pour filing into crust and bake at 10 minutes at 400 degrees, then bake at 350 degrees for 40 minutes. These are staples at my holiday table, what about yours? Jessica over at Shower of Roses shared some great recipes for Chicken Satay Spring Rolls, Triple Layer Brownies (I am so for that! ), and Cherry Cheese Coffee Cake on her post entitled Party Time Favorites. Also, make sure you check out her great idea for making little turkey treats with your little ones: Gobble, Gobble. Jessica also shared this absolutely yummy looking dessert, just right for the coffee lover in us all: Cappuccino Mousse Trifle. Sarah, over at Sarah’s Musings, shared a bunch links and a recipe for whole wheat cinnamon buns on her post Holiday Traditions. Don’t forget to check out Jamie’s cooking blog Kitchen Blessings! She has a ton of recipes sure to become new family favorites. I have my eye on that pumpkin swirl cheesecake! She has some other great recipes like: Company salad, lazy cheesecake salad, and Cornucopia snack! Another great holiday treat was submitted by Gloria in the comments section at Catholic Cuisine. *All ingredients more or less according to taste. Set in hot oven after the turkey/ham is removed, to brown the marshmallows about 5-10 minutes. Other fabulous places to find holiday goodies are staples like Food Network and All Recipes. Food Network hosts a email newsletter coming soon with recipes for Christmas cookies (I don’t see a link up yet for this year, but keep your eyes peeled. It is definitely worth it). They make great gifts in a basket with some of that cranberry sauce! Don’t forget to also keep an eye on the Pioneer Woman. Last year she posted just about everything you could dream of for a fabulous and gourmet holiday meal. Here is the link to her Holiday Foods, which include: Thanksgiving, Christmas, and even Valentine’s Day! Of course, the big guy, our dear turkey friend, needs some love and attention. Check out these articles from All Recipes on making the perfect turkey (Pioneer Woman also has a great recipe for turkey up there). So forget about that diet, that is what January is for, and enjoy some of these fabulous holiday meals. Remember the holiday is not just about the food but about sharing that food and memories with those you love. I hope that you all have a blessed and wonderful holiday season filled with family, friends, and great food! 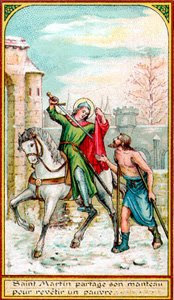 St. Martin of Tours is also represented with a horse (in addition to a goose). That being the case, horseshoe cookies, or cakes, are another great food to incorporate into your Martinmas celebration! Heat oven to 325 degrees. Line a baking sheet with a Silpat or parchment paper. In the bowl of a food processor fitted with the metal blade, combine 1/3 cup plus 1 tablespoon confectioners' sugar and the almonds. Process until finely ground. Add flour and salt, and pulse to combine. Scrape the seeds from the vanilla pod. Add seeds to the flour mixture. (Reserve bean for the dusting sugar.) Add butter a few pieces at a time. Quickly pulse to combine. Do not over process. The mixture should resemble coarse meal. Place the reserved vanilla bean on the prepared baking sheet, and let dry out in the oven for 3 to 5 minutes. Set aside. Remove dough to a clean work surface. Blend dough by pushing it away from you with the heel of your hand. Gather it up with a bench scraper, and continue process until dough will peel easily from the work surface in one piece. Divide dough into four equal pieces. Roll each piece into a cylinder 5/8 inch in diameter and about 22 inches long. Cut each log into pieces about 3 inches long. Curve each piece into a horseshoe, and place on the prepared baking sheet about 1 1/2 inches apart. Bake until lightly golden, 15 to 20 minutes. While cookies are baking, cut reserved dried vanilla bean into small pieces. Place the remaining cup confectioners' sugar in the bowl of the food processor fitted with the metal blade. Process until well mixed, about 1 minute. Sift sugar into a small mixing bowl to remove any large pieces of the vanilla bean. Remove cookies to a rack to cool. After cookies have cooled a little, about 5 minutes, gently toss warm cookies in vanilla sugar to coat. Remove to rack to cool completely. Once cooled, dust again with remaining vanilla sugar. Store in an airtight container for up to 1 week. 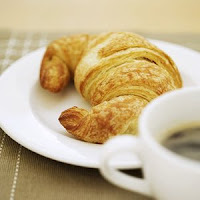 Another traditional recipe for the feast of St. Martin, is Martinshornchecn (St. Martin's Day Croissants). These sugared croissants were given out as a special treat to children for Martinmas. Heat milk to lukewarm and dissolve the yeast. Sift the flour into a bowl, make a well in the middle and add the yeast mixture and sugar and salt. Work to a smooth dough and let rest for 1 hour in a warm place. Add the eggs and half the butter and work it back into a smooth dough. Some flour may have to be added if the dough is too sticky. Melt remaining butter. If you cannot get coarse sugar, crush sugar cubes with a rolling pin. On a floured surface roll out dough to a tickness of about 1/8 inch. Cut into 8-inch squares. Brush with butter and sprinkle with the coarse sugar. Starting from one corner, roll up each square and turn in the ends to make croissant shapes. Brush with egg yolks and sprinkle with more sugar. Preheat oven to 400 degree F. Transfer croissants to a buttered baking sheet and bake for about 25 minutes. Makes 12 to 16 large croissants. ** For a simplified version, pick up a package of crescent roll dough from the store (as well as the coarse sugar if you need it) and follow the last two steps. 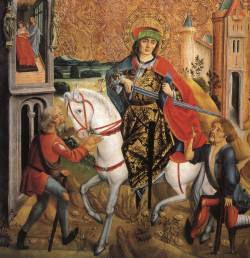 On November 11th we celebrate the feast of St. Martin of Tours, also known as Martinmas! 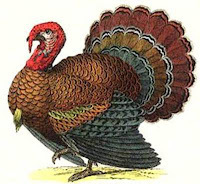 In A Continual Feast , author Evelyn Berge Vitz tells us that "his feast, called Martinmas, became a major one in Europe, largely no doubt because it took on the character of an in-gathering festival: a thanksgiving celebration. On this day it has been traditional to eat young goose and to taste the new wine of the season. In Germany, they make a cake in a special mold, showing St. Martin on horseback. In Holland, they roast chestnuts and apples and give them to the children; In Italy, they make a Pizza di San Martino (actually a coffeecake), wit trinkets hidden inside." The goose is actually a symbol for St. Martin himself since it is said that a honking goose revealed his hiding place, after he hid to avoid being made bishop of Tours! November bears feasts of two St. Martins, today is the optional memorial of the lesser-known St. Martin, St. Martin de Porres. St. Martin was born in Lima, Peru. Being illegitimate and of mixed race made his life very difficult, as he was considered very low in society. He became a laybrother for the Dominican order at age 15 and remained a member the rest of his life. I'm not going to suggest the obvious Lima beans, or pull out a lavish Peruvian meal. One of the endearing qualities of St. Martin was his love for all of creation, including even vermin. There are favorite tales that mice were eating the sacred linens in the sacristy. Martin made a deal with the mice that if they stayed out of the monastery and church, he would feed them, and both kept their word. The picture book Pied Piper of Peru by Ann Tompert retells this beloved story. A more simple idea for dinner is St. Martin's Mice, or Baked Potato Mice? These are just twice-baked potatoes, similar to the recipe for Victory Vessel with added embellisments to look like mice: slices of radishes for the ears, small cherry tomato for the nose, green onions or chives for the whiskers and tail, and raisins for the eyes (you might need a toothpick to keep some things in place). If you're short on time or have allergies, just make baked potatoes (do you know how fast you can make them in the microwave?) and add the decorations.